These boxes are designed with architectural themes as the main motif. They are inspired by Classical and Palladio motifs and oriental design details. 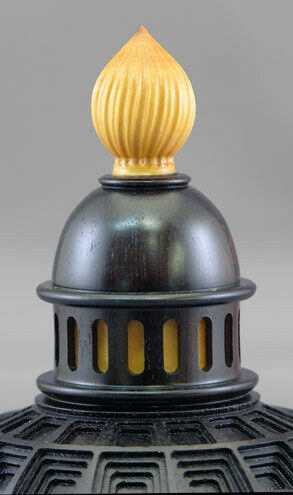 Rounded classical or Moghul domes, cupolas and colonnaded finials are some of the elements utilized on the lids of these ornamented cylindrical drum bodies. There is a contact form to follow up on price and availability of any pieces of interest.